I have been travelling internationally since 2010, when I took my first trip to Vietnam. It was challenging, exciting, awful and wonderful all at the same time. I’ve always wanted to go back to Vietnam and spend more time there, and that will be happening this November. I’ll be living there for at least three months, possibly more. It got me thinking though, that this trip to Vietnam is very different to the first trip there because I am a lot better at travelling. I’ve got China, Europe (twice), Japan, India and Indonesia (twice) under my belt now. I’m seasoned. I’ve dealt with lost luggage (China) and missed connections (China) and being bumped from my flight (India) and weird tour groups (every tour I’ve ever been on) and sociopaths (Greece), among other things. So I’ve put together a list of the things I used to hate about travelling but now love, or at least, hate a lot less. I used to use a travel agent to book my entire trip from flights to tours, but in the last year or so, I just organise my own travel, including flights, transfers and accommodation. To be honest, because I was a novice and didn’t know what I was doing, I just booked myself on group tours because it was easy. All I had to do was to get to the destination and everything was taken care of. 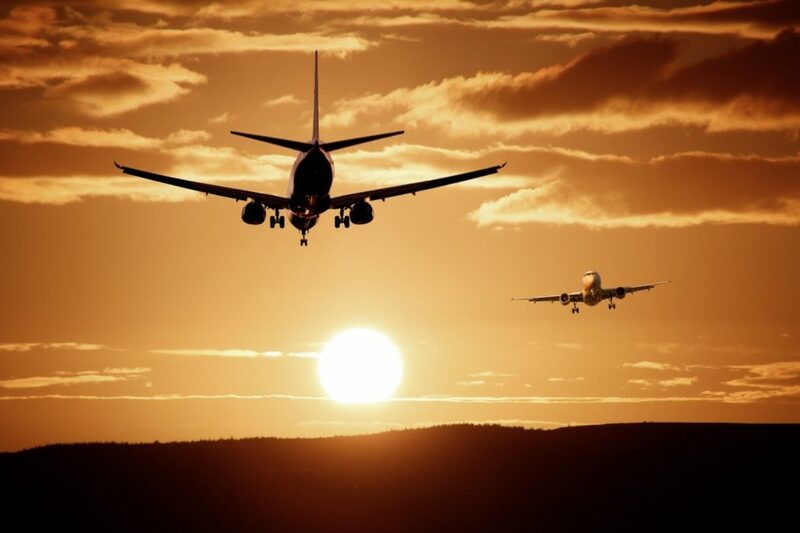 How would I know which flight is best and where I should stay, let alone what I should do once I got there? It’s too much to think (and if I’m honest) worry about. I did my last group tour—to India—last year because I was nervous, given all the stories about women travelling alone, and how dangerous it is. Actually, it’s not any more dangerous than anywhere else I’ve been, and if I had my time again, I would have hired a local guide and a driver. I ventured into independent travel to Japan in 2014, where On The Go Tours looked after everything for me, including my transport and accommodation. It was organised entirely by my travel agent, who also took care of my flights. All I had to do was get myself to each of the cities on the itinerary and decide what I wanted to do once I got there. It was the first time I was truly alone (although I had a guide in Tokyo and Kyoto, and OTG was there if I needed them, which I didn’t), and I loved it. When I went to Bali last year and again early this year, I organised everything myself, including flights and accommodation. It was easy. Even with the volcano which delayed my flights coming back, and I had to scramble around trying to get out of Bali (trust me, cancelled flights are no fun), I handled it (hint: have good travel insurance). And I’ve organised this year’s trip back to Vietnam completely on my own. It’s not a direct flight to Ha Noi, either. I’m in Bali (with three lots of accommodation) for a couple of weeks, taking a side-trip to Penang (and taking a couple of flights via Changi Airport because there’s not a direct flight) before I land in Hanoi (I couldn’t get a direct flight out of Penang, so I’m transiting through Changi again). My first ever trip overseas was to Vietnam, and I had no idea about packing. All I knew was that I had to bring stuff with me. I tried to be practical, and I divided my gear into two small suitcases along the lines of clothes in one and items like toiletries and insect repellent and laundry detergent and sunscreen and shoes in another. I checked both bags, waited nervously at the carousel in Saigon and was overjoyed to see them at the other end. What I packed was totally impractical for the climate, and I ended up ditching most of my clothes and buying light and local within a few days. I also ditched my leather shoulder bag in favour of a locally made bag, and bought a backpack, which I hadn’t brought with me because I didn’t think I needed one. Big mistake. I had a meltdown in Saigon airport over my luggage, which was essentially brought on by a serious bout of insomnia. On my next trip, I took a large Antler suitcase that has lots of lovely compartments. I used that for three trips, and while it was a great suitcase, I was conscious that I was taking too much. Just because Singapore Airlines gives you 30kg luggage allowance does not mean that you should use it. So I bought a Caribee 75 litre wheeled backpack and I’ve done a number of trips with this bag. It’s not small enough to be be carry-on, but it is small enough to ensure that I’m travelling relatively light. I try to stay under 15kg when I pack. While I don’t feel like I have this packing thing completely nailed, I’m a lot better at it than when I first started travelling. Each time I travel, I keep a list of what I didn’t use or wear, and take it off my packing list. When I go back to Vietnam later this year, I’m using the philosophy of one off, one on and one spare. It’s not like I never wash when I travel, and in Asia, getting your washing done is cheap, cheap, cheap! It would be fair to say that when I started travelling, airports freaked me out. They seemed such scary, intimidating places and they made me nervous with all that security. I felt like I didn’t know where I was supposed to go, or what I was supposed to do. What if I did it all wrong and they wouldn’t let me either out of or into a country? Now I know that there is a system, and the system is almost the same irrespective of the airport you use or transit through and it’s this: check in to your flight, check your carry on (if you have any—and if you do, try and get your luggage checked right through to your final destination) and grab your boarding pass(es). Note which gate you are leaving from, and the boarding time. Go through security and immigration (fill out any forms you need to), although the order of these may be swapped. Have a coffee. Get your duty free alcohol (I always get a bottle of wine and a small bottle of whisky). Board. When you get off, the order is kind of reversed. Generally, it’s go through immigration (the airline will give you the forms) unless you are transiting through, and pick up your luggage (if you need to) and head through customs. Exit and/or repeat all or bits of the above, depending on whether you are staying or continuing your journey. Airports do this to varying degrees of efficiency. Singapore’s Changi Airport is the benchmark of doing things well and efficiently—hands down, it’s my favourite airport in the entire world because they make things so easy and pleasant. It’s so organised. They truly cater to the traveller: from dining and shopping to exhibitions and gardens and movie theatres. I’ll often stay in a transit hotel at the airport if I have a long layover, because why wouldn’t you? Are there things about travelling that you used to hate, but you now love? Or at least hate less? Let me know in the comments below! 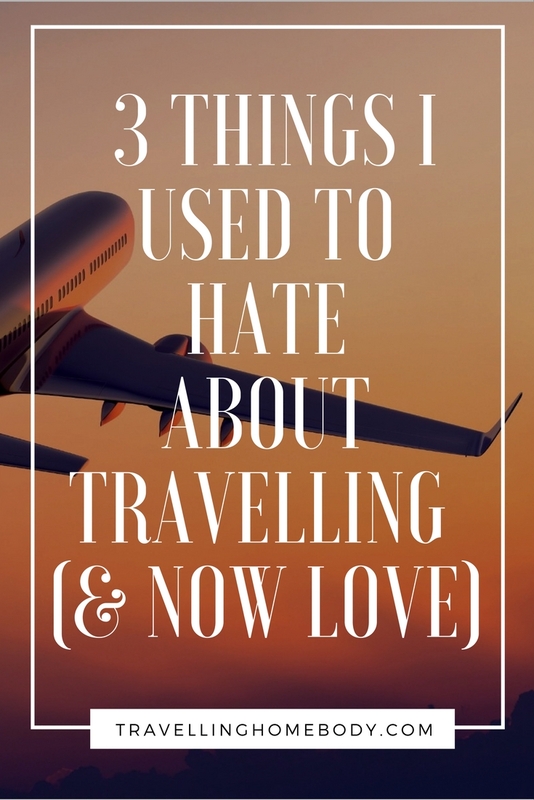 Stay tuned for my companion post: 3 things I used to love about travelling (but now hate)!